On the book tour for Helen Fields’ gruesome new book, “Perfect Prey’, read an extract from the unsettling tale. Tripp looked like he didn’t know which way to run. Safely inside, Tripp was a shade of beetroot. ‘New neighbour then, sir? She seems very, um, enthusiastic.’ Tripp raised his eyebrows and seemed to be struggling to control a grin. ‘Of course, yes. Couldn’t send the files over the internet. No time to securely encode them. Here you go.’ Tripp opened a laptop, and clicked on a folder in which two items sat. As the first played, Callanach could hear the now familiar song that the band had been playing when Sim Thorburn had hit the floor. The footage was taken from a few rows in front of the victim, on a mobile phone whose owner was obviously taking a selfie of herself singing along. For a split second, in the background, a shadow passed across Sim’s face. As the shadow cleared the screen, Sim could be seen slightly out of focus, looking down towards his stomach, his face registering confusion. Then he lurched to one side, out of shot. Tripp pressed play. More mobile footage, this time obviously designed to show the scale of the audience, mobile held high in the air, turning around in a three-sixty loop. After a few seconds, Tripp pressed pause and pointed. Callanach looked more closely. Sim Thorburn was hidden from view, but he could see Merel and Niek De Vries. To the left of them, walking in profile, was an adult with dark brown hair flopping over their face. The attacker was wearing large, dark sunglasses. Tripp let the video play to show the person’s sudden change of direction away from the camera and into the crowd. ‘Male or female?’ Callanach asked. ‘Can’t be sure,’ Tripp replied, closing the lid of the laptop. ‘But not that tall, slim and therefore able to move about relatively unnoticed. Caucasian. Hair could be natural or dyed. ‘Perfect camouflage,’ Callanach said, leaning back on the couch and closing his eyes. ‘How do we catch them then, sir, if they’re that good?’ Tripp asked. Fancy finding out what happens next? 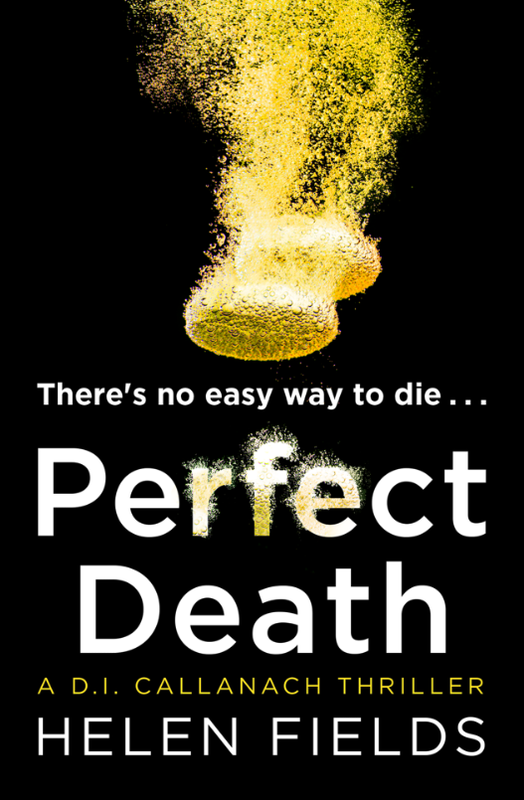 You can buy Perfect Prey from Amazon and is available to buy from good bookshops. ‘Perfect Prey’ is the latest book by Helen Fields. In the middle of a rock festival, a charity worker is sliced across the stomach. He dies minutes later. In a crowd of thousands, no one saw his attacker. The following week, the body of a primary school teacher is found in a dumpster in an Edinburgh alley, strangled with her own woollen scarf. D.I. Ava Turner and D.I. Luc Callanach have no leads and no motive – until around the city, graffitied on buildings, words appear describing each victim. It’s only when they realise the words are being written before rather than after the murders, that they understand the killer is announcing his next victim…and the more innocent the better. In the second book by in DI Callanach is back with a lot more gore and drama than the debut book. Set against the gritty background of Edinburgh, DI Callanach and his colleague DI Turner are trying to find two killers, who are committing heinous and gruesome crimes, both battling for attention and constantly one step ahead of the police. Seen from the perspective of Callanach, the same moody and charismatic French man who is struggling to settle in but has a strong team of support around him. Unfortunately the one person that he can really rely on is DI Turner, but she’s busy with her own case as well as a new relationship. As well as Callanach’s perspective, there are also narratives from the killers as well, which give the story a clever twist. As the story progressed and more characters and potential suspects are introduced, I found myself on my edge trying to guess the killer. The story isn’t just about an old fashioned killing, there is also the inclusion of hacking scandals as well as chat forums, where the killer and his audience were able to chat freely. Helen also touches on the subject of the dark web, an area of the internet that is deeply hidden, but once it is discovered, it’s a dark and dangerous place to get out off. The second book in the series is a dark and chilling story that was impossible to put down. Clever and fast paced, the story progressed with many twists and turns that really holds the readers attention. 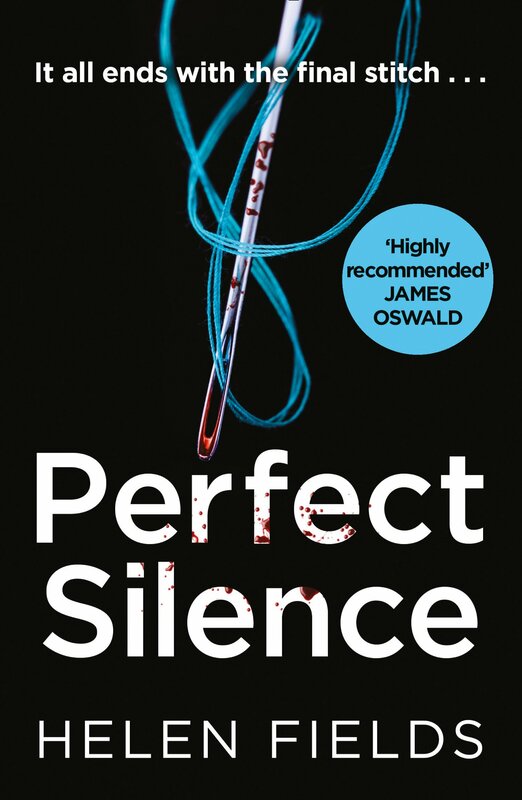 With the inclusion of a handsome detective, clever and twisted serial killers, as well as some of the most gruesome murders, ‘Perfect Prey’ is a cracker of a page turner crime book that is most definitely not for the faint hearted. 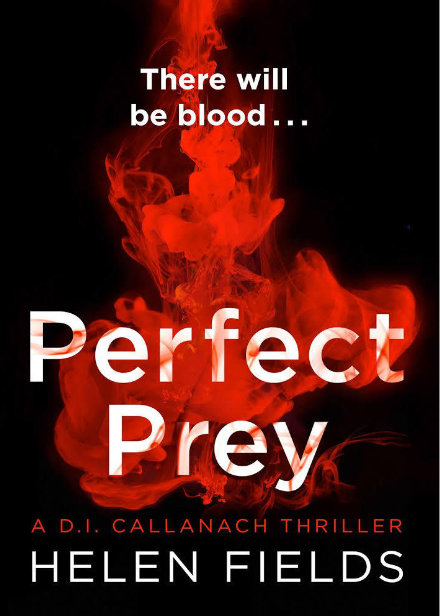 You can buy Perfect Prey from Amazon and is available to buy from good bookshops.